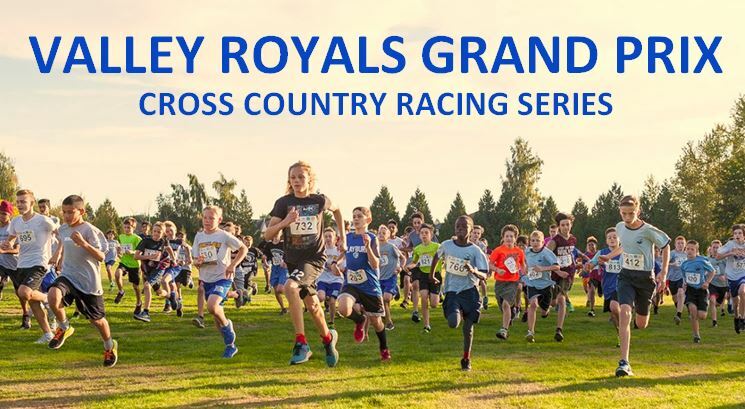 Why does the Valley Royals Track & Field Club reward athletes with Fundraising Credits? We are giving Fundraising Credits, 50% of the fundraising profit earned by athletes, to help each athlete pay for their Entry Fees because we are working to build a strong culture of fundraising and want to encourage our athletes to take part. There are lots of fundraisers to choose from. Which one earns the most fundraising credits? The fastest way to fundraise is to get a Sponsorship for the Club because a sponsorship is larger (ranging from $100 to $10,000) and there is no cost for materials or products which have to be deducted to find the profit margin. If I get a 50% Fundraising Credit does that mean I get to keep some of the money that I fundraise? No, the club gets all of the money that has been fundraised by each athlete. All of the money goes into the club’s bank account and is accounted for by our book-keeper. If a Fundraising Credit is not money that I get to keep, what is it? “Fundraising Credits” are not actual money belonging to the athlete but are “thank you gift” from the Club, tracked by the Club Administrator, that helps the athlete to pay for Entry Fees or the following year’s Club Membership. Do Fundraising Credits expire? Yes, all Fundraising Credits expire on December 31st each year. They may not be carried forward into the following year. What if I have credits left over after I have paid for all of my Entry Fees for the year? If you have Fundraising Credits left over at the end of the Fall Season, you can use use them toward purchasing next year’s Club Membership as long as the Membership is purchased before Dec 31st. Why do Fundraising Credits expire? If the credits didn’t expire, and carried over into the following year, it would create administrative problems for the Club. For example: An athlete that got thousands of dollars in sponsorships in one year could be taking 50% of that money back from the Club, in the form of a credit, to pay their membership fees and entry fees for years and years. (This would make it difficult for the Club to budget and plan each year). Am I expected to fundraise even though I could pay all of my Entry Fees myself without the help of Fundraising Credits? Yes, we are a Non-Profit Society that depends on fundraising to help offset the costs and ensure that we can grow to serve athletes in the future. Our Club’s Bylaws state that all members are expected to fundraise. So, even though we don’t specify a minimum fundraising requirement, we encourage and expect athlete participation in fundraising. This helps the club to function well, helps each athlete to save money on entry fees by earning Fundraising Credits, and gets athlete families pulling together as a team by doing creative fundraising events & getting Sponsors for the Club. Who pays my Entry Fees when I am registering for a race or event and how do I spend my Fundraising Credits on them? The Club Administrator does all registrations and event fee payments to the various organizations hosting races/events. She tracks these fees for each athlete over the course of the season (Track Season or the Fall Season). At the end of the season, she calculates the amount owing for Entry Fees minus the Fundraising Credits that the athlete has accumulated. She emails these details and the total owing to the athlete for payment. The Athlete is responsible to pay for their Entry Fees Total for the Season, and can use Fundraising Credits toward this payment.